Robert A. Pratt. The Color of Their Skin: Education and Race in Richmond, Virginia, 1954-1989. Richmond, VA: University press of Virginia, 1992. Pp. xvii, 134. Fort, Bruce. 1994. “ of Virginia, 1992. Pp. Xvii, 134.”. 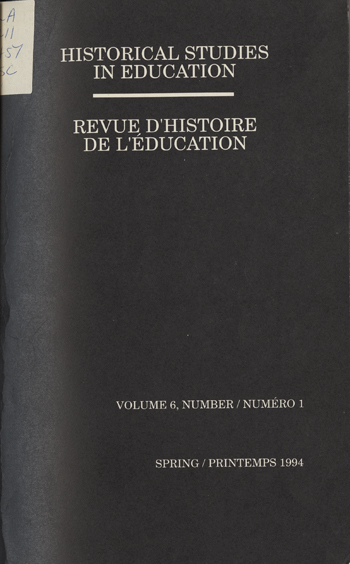 Historical Studies in Education / Revue D’histoire De L’éducation 6 (1), 128-30. https://historicalstudiesineducation.ca/index.php/edu_hse-rhe/article/view/1163.